A dry fly is floating with the current on a Lappish mountain river. 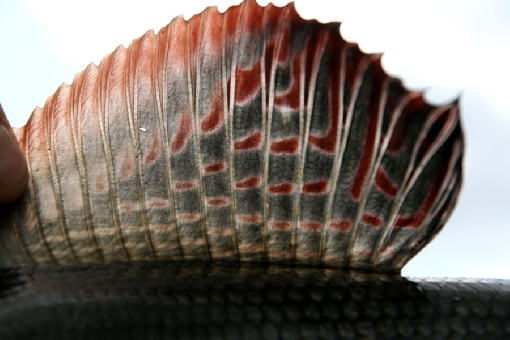 The rod starts bending and a strong tail soon splashes at the surface as a mighty red-spotted dorsal fin cleaves the water. An angler has established contact with a wild grayling. 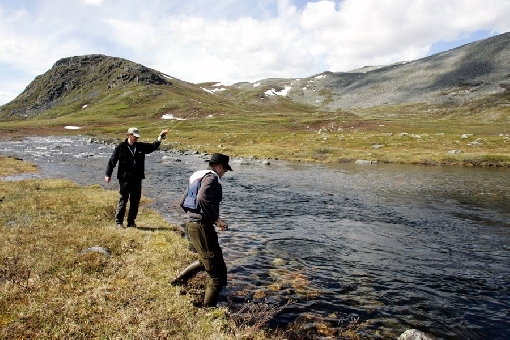 The best grayling waters are located in Northern Finland, where they can be found in almost all flowing waters, both large rivers and small brooks, as well as in lakes. The best sites are the River Tornionjoki water body – in particular, its headwaters – and River Teno, Lake Inarijärvi and the small waters in the Vätsäri and Kaldoaivi wilderness areas. 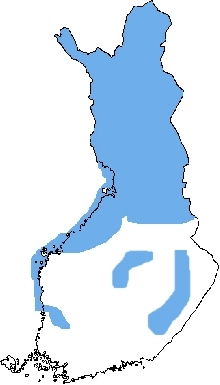 Other well-known grayling sites include Rivers Iijoki, Kemijoki and Ounasjoki. Idlers should beware, however: the best waters for big grayling are in the wilderness, well off the beaten track. There are plenty of easily accessible destinations for grayling anglers in the fast-flowing waters of Southern and Central Finland. Lake-dwelling stocks are found on the major lakes in Eastern Finland and the Gulf of Bothnia is the only place in the world where rare sea-spawning grayling can be found. 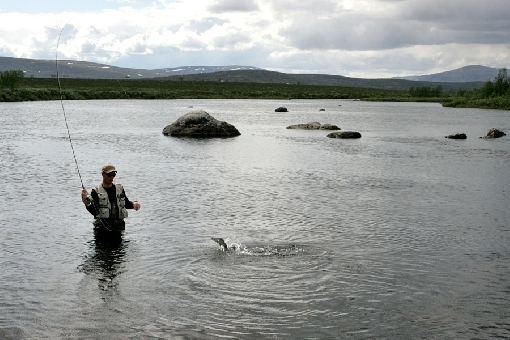 The rivers of Northwest Lapland are number one destinations for anglers in pursuit of big grayling. Grayling spawn in April and May and the fishing season starts soon after that. At first, grayling bite wet flies. As summer advances and insects start swarming, dry flies start to work. In Lapland, summer is a splendid season for catching grayling, whereas the best grayling catches on the rapids of Southern Finland are made in late autumn when waters are cool. Grayling require oxygen-rich water and they therefore thrive in current spots, but not so much in the most violent surges of the rapids. More mild-flowing branch streams, back-eddies and the heads and downstream pools of rapids are the best spots to catch grayling. 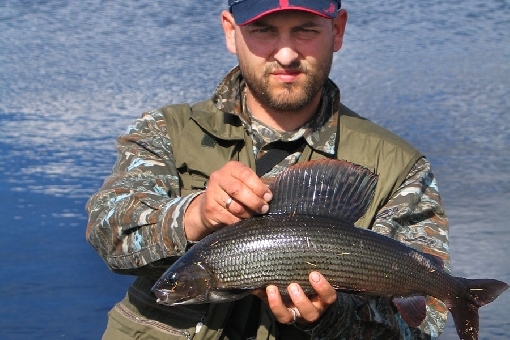 Ingmars Birkovs, Latvia, with an IGFA 6 lb line world record grayling, 1.8 kg, from River Lätäseno. In the fjeld area, the best grayling waters are often located around the tree line. On large lakes, anglers in pursuit of grayling want to head to mid-lake shoals and shore waters of mid-lake islands, while river mouths also give good catches. Many of Lapland's small lakes are nice fishing grounds, because it's easy to catch grayling there by casting from the shore. Grayling are typically pursued using flies, but they are also eager to strike small plugs, spinners, spoons and leeches. In many cases, the lure is more effective with some feathers tied to the hook. Spring is the ice-fishing season for grayling. The Äyskoski Rapids, Tervo. 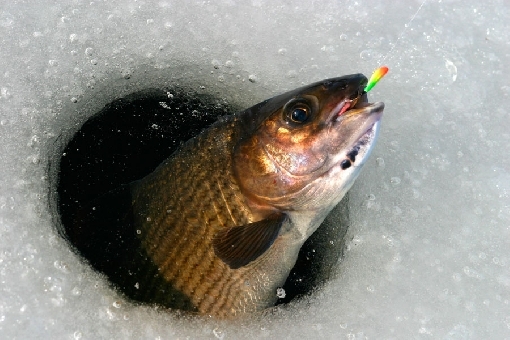 In winter, grayling is an interesting species for ice-fishing. 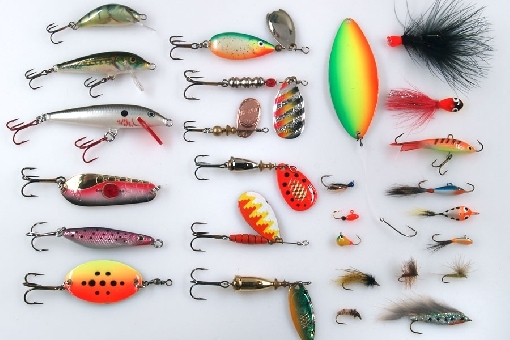 An ice-fishing enthusiast's grayling tackle includes a vertical jigging lure with a mormyshka jig or a fly attached below as well as a small balanced sinking lure. The best ice-fishing season is late winter, while in Lapland you can go ice-fishing as late as in May. Good catches may even be possible during the period of winter darkness in November and December. Anglers go after grayling both on rivers and on lakes from shallow, generally one-to-two-metre deep waters. It may even be a good idea to bore an ice-fishing hole at a spot with only 20 to 30 cm of water under the ice. That is why you ought to pack a knapsack full of spare auger bits when you're heading to Lapland for an ice-fishing trip. 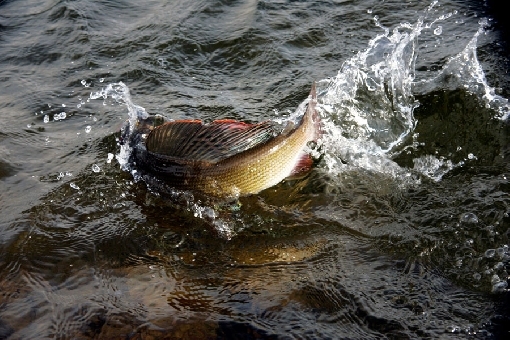 The largest grayling weigh over two kilos, while the one-kilo limit may be broken in hundreds of lake and river sites. Finnish Lapland provides marvellous opportunities to fish big grayling that are unique even on a world scale. The big dorsal fin gives grayling strength amidst the whirls of the stream. Other notes: Totally protected in the Baltic Sea. Closed season in the inland waters south of 67.00º latitude 1st April to 31st May. In the waters north of 67.00º north latitude the minimum size of grayling is 30 cm. 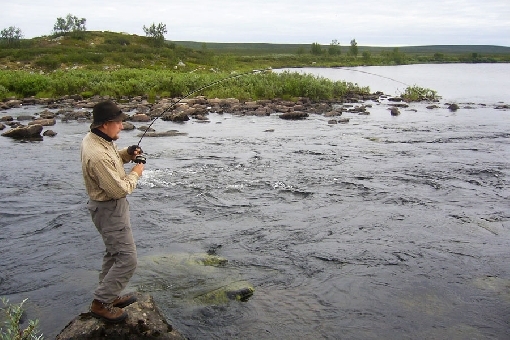 The rod starts bending on a Lappish mountain river and a strong tail soon splashes at the surface. 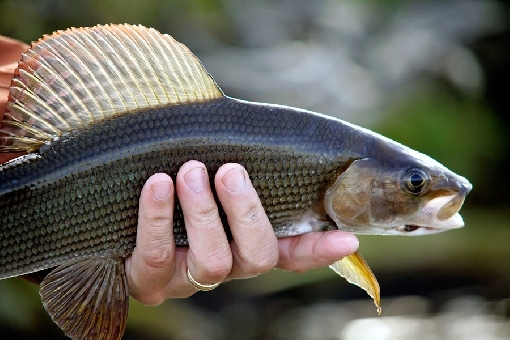 An angler has established contact with a wild grayling.